IDSculpture designs and fabricates custom sculptural landscapes from a proprietary thin shell concrete composite. Founded in 2004, from a love of climbing and material innovation, IDS is now a group of talented craftsmen and designers with a wide breadth of skill and experience. The IDS team works together to produce the most unique and functional products within each market we touch. 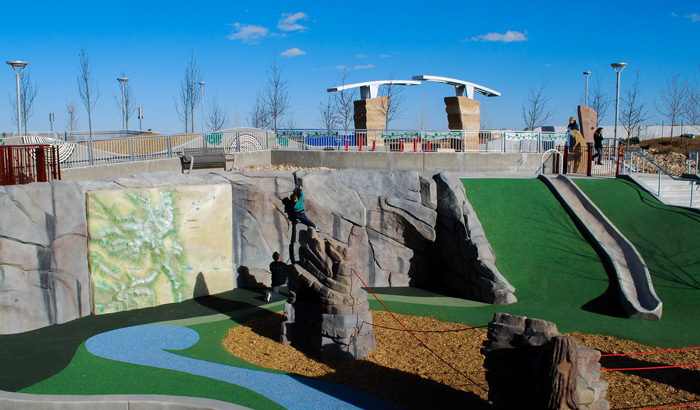 IDSculpture's main focus has been sculptural play in public playgrounds, climbing walls and boulders. Their experience spans fine arts, high-end kitchen and bath, landscape architecture, digital fabrication and furniture design. IDS separates itself from the prefab competition with experience and creativity. IDS's process allows us to offer completely custom yet cost effective solutions. We are a truly committed group of individuals that love to meet design challenges with creativity, economy and integrity.